You’ve just invested time, money and a little discomfort in order to be hair free – so it makes sense to look after it. We don’t just make this stuff up for the sake of it! 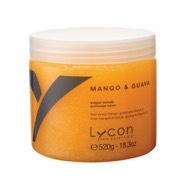 Cleanse, scrub and moisturise with our great selection of skincare from Lycon! A breakthrough solution for the treatment of ingrown hairs. This revolutionary product mildly exfoliates, decongests and helps minimise the appearance and discomfort of ingrown hairs. At the same time, it soothes angry looking red spots and moisturises. Great for after waxing, shaving and congested skin. Does not sting or burn, perfect for sensitive skin. Apply to dry skin after hair removal. Spray directly onto body and massage in with clean hands twice daily for as long as necessary. On the face spray the ingrown-x-it solution onto a cotton pad, and then apply to skin with cotton pad. Do not wash off and apply moisturiser 10 minutes after application. 2% tea-tree, lavender and lemongrass. Tea-Tree total wash for hands and body is non-drying and pH balanced. It leaves skin feeling clean refreshed and protected. With anti-bacterial tea-tree oil, this wash hygienically removes germs while soothing the skin. Ideal for both men and women as a daily wash, will both prevent and treat unsightly ingrown hairs, angry bumps and skin blemishes. Perfect for combination and oily skin types. Use daily as an all over purifying hand and body wash. Apply on wet skin lather well, Rinse off, avoid contact with eyes. A luxurious spa-quality, oil-free sugar scrub for the entire body. Gently exfoliates and moisturises at the same time, without leaving any oily residue, which can clog skin and create breakouts. This premium formula rinses off completely, leaves no sticky or gritty residue and never clogs drains or spa jets. Excellent to help dislodge ingrown hairs after waxing or shaving.